Two friends, two spades, one dog and some animal biscuits. What more do you need for an adventure? 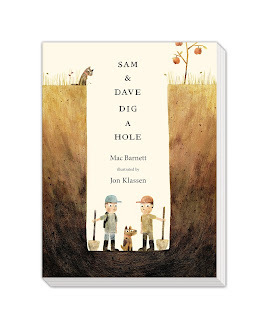 From the multiple award-winning, best-selling team of Mac Barnett and Jon Klassen, Sam & Dave Dig a Hole perfectly captures the imaginary worlds young children create when they play, turning the simplest things into the biggest adventures.With perfect pacing and buckets of visual humour, this tale is the perfect read aloud for children age 5+. We have a Sam & Dave Dig a Hole little digging hamper to give away, including a signed copy of Sam & Dave Dig a Hole, a bucket and spade, a poster, activities, stickers and a signed, limited edition print for your child’s bedroom. Five runners up will get a copy of the book. To enter, just email competitions@walker.co.uk with your name and address and 'Sam & Dave' in the subject line before 30th September. Good luck! 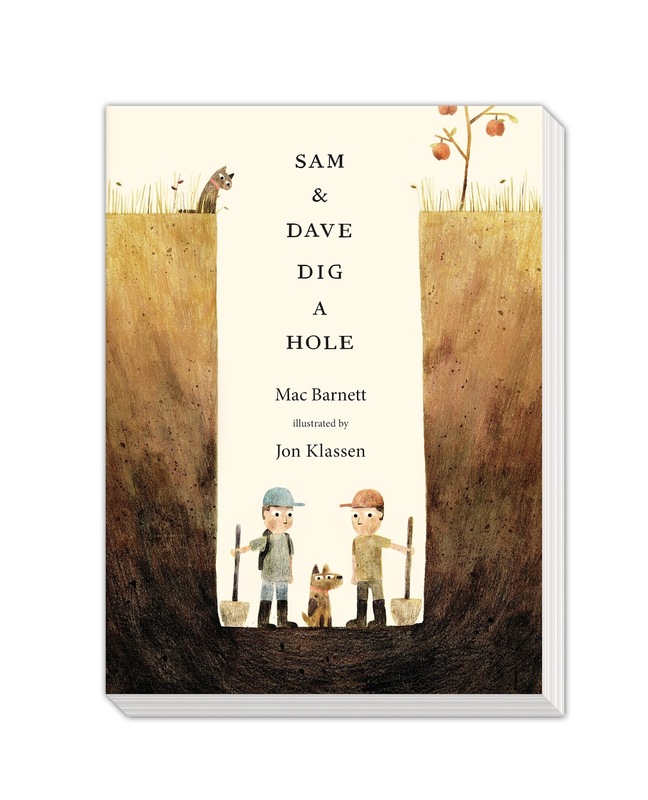 Pick up a copy of Sam & Dave Dig a Hole at your local bookshop. By entering this competition, you are agreeing to our terms and conditions. Your details will not be shared with third parties.